Today I have come up with a face wash review, which is Dove go fresh face wash for non sticky fresh skin. Let’s head on to the review right away. It removes excess sebum and stickiness whilst retaining skin’s moisture. #Contains NutriumMoistureTM, a nourishing beauty serum that replenishes skin from deep within giving it a beautiful bounce within the epidermis layer. #Contains Citrus orange oil, a cleansing aid ingredient. #With refreshing fragrance of Mandarin Orange. Shelf life: Best before 24 months from Pkg. Claim: It gently removes excess sebum and stickiness whilst retaining skin’s moisture. Direction: Mix a small amount with water in the palm of your hand and rub into lathers. Massage gently onto wet skin. Rinse thoroughly and use daily. Caution: Use only as directed. Avoid contact with the eyes. If eye contact occurs, immediately rinse with water. If rash or irritation occurs, discontinue use. Dove go fresh face wash comes in a white tube with a rusty orange coloured flip cap. The cap is firm enough to carry it along everywhere. 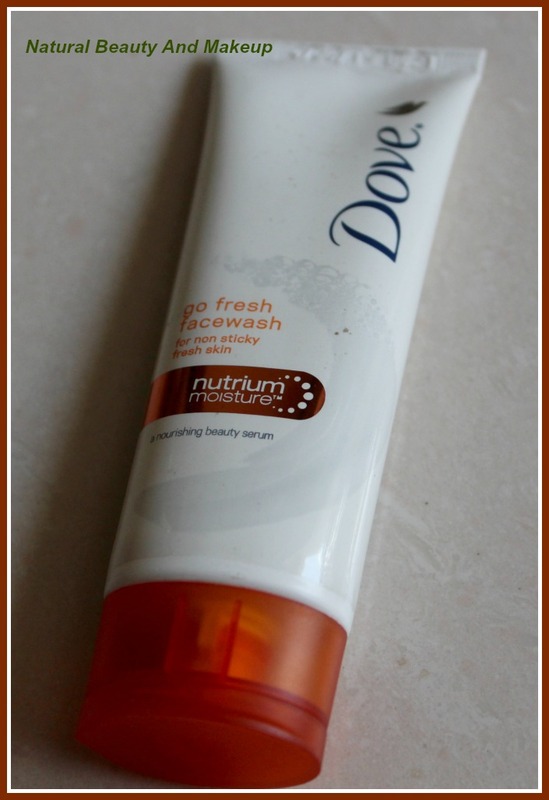 I always adore tube packaging because it is hygienic as well as easy to squeeze right amount of product at a time. Only con is, product accumulates around the cap opening,so need to clean that area after every use. 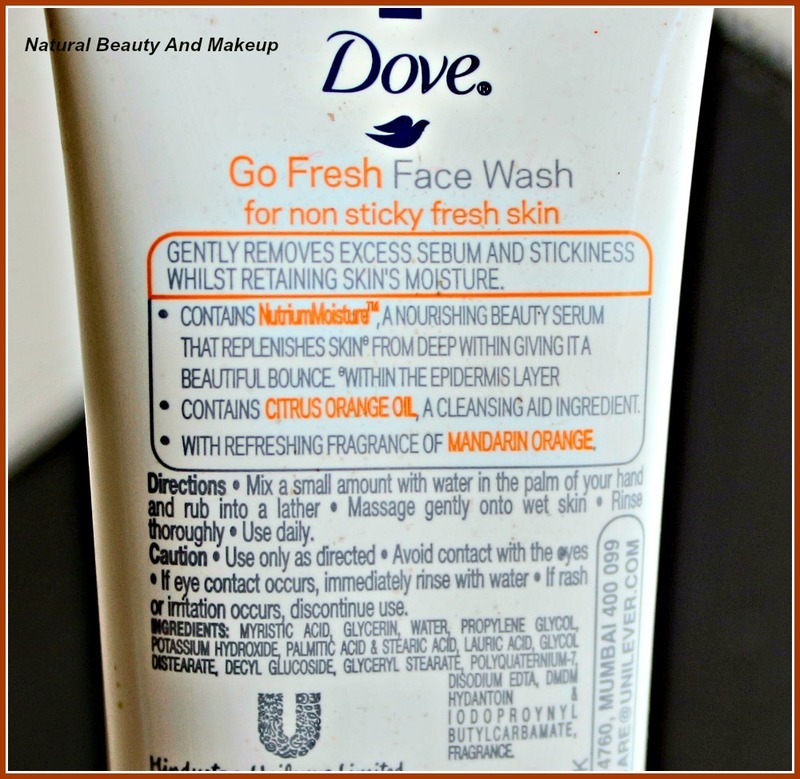 The texture of this face wash is truly mousse type with a creamy consistency. It is milky white in colour and has a mild citrus fragrance which is very pleasant. Among all the skincare products of mine, face wash runs out first always. So I need to stock them up more often. 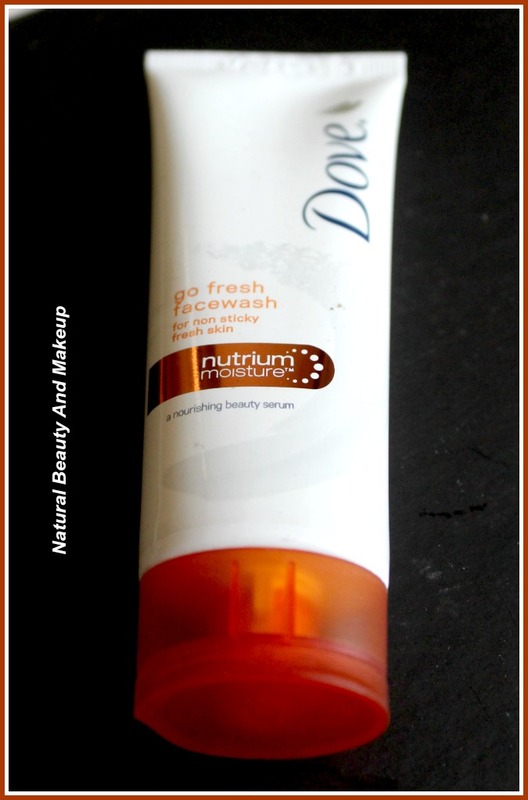 This is the first time I have tried out a face wash aka a nourishing beauty serum from Dove brand and liking it also. 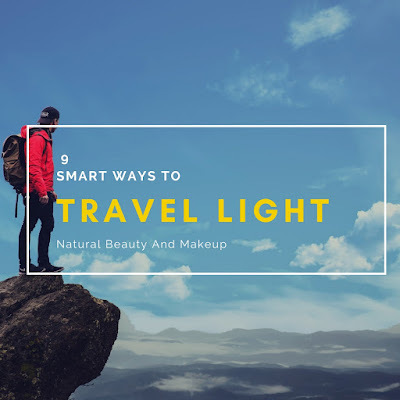 It is specifically geared towards oily skin and has nutrium moisture and Citrus orange oil. It is blended with Mandarin orange fragrance, which smells so refreshing. As directed on the tube, I take very little amount of this face wash into my palm and slather it on my wet face. You need to take a tiny amount of it as it produces a lot of lather, creates kind of frothy foam on the face. However, it stings badly if comes in contact with the eyes, so be cautious. Since a pea sized amount of this wash is enough to cleanse the skin, I assume this 50g tube will last long for me. It’s true to its claim of removing excess sebum and stickiness from the face whilst retaining my skin’s natural moisture. It cleanses the face efficiently by removing excess oil, impurities and surface build-up. It keeps my face oil free & fresh for around 3-5 hours. I feel delighted to see my face non-sticky for such a long period of time (Even I felt the same when the weather was hot and humid few months back!). Post usage, I apply my rose toner and moisturiser usually. It doesn’t break out my combination skin but post wash, it dries out my face a little bit. So for the dry skin beauties, it must be followed by a decent moisturiser. 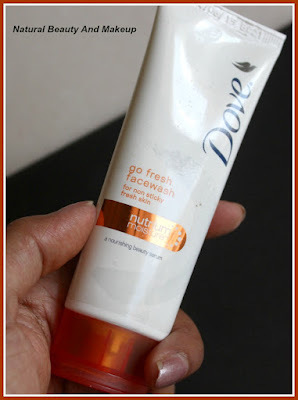 In a nutshell, I would say that Dove go fresh face wash is best for oily to combination skin which helps keep skin oil-free and nourished. If you are looking for a reasonable option then try out this one, it is really worth to try. 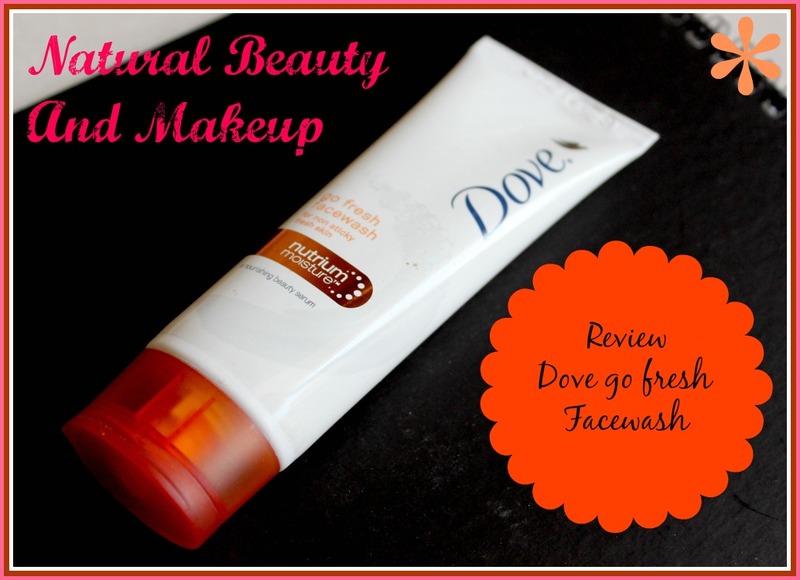 Have You Ever Tried Dove Go Fresh Face Wash? If Yes, Then Do Share Your Experience With Me In The Comment Section Below. Nice and detailed review. 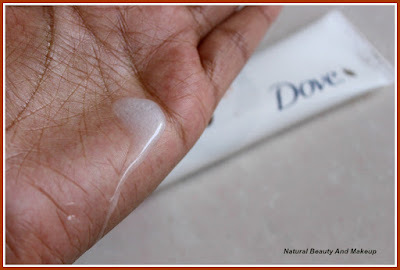 I love Dove face washes. I had used in past but it dint suit my dry skin :) Nice review ! Yeah Karishma, it's not great for dry skin! Pond's one I tried too :D Thanks Himanshi. Never used it. Thanks for sharing this review. If you have oily skin, you will like it gal :) Thanks Megha. Yes,indeed! You will love it Jane <3 Thanks gal. I have oily skin and this face wash worked wonders for me and it left me with bouncing skin. Great to know that,Sangeeta :) Thank you gal.